Folds quickly and easily at the touch of a button. 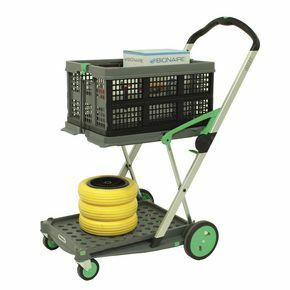 Has two large platforms for folding plastic boxes. 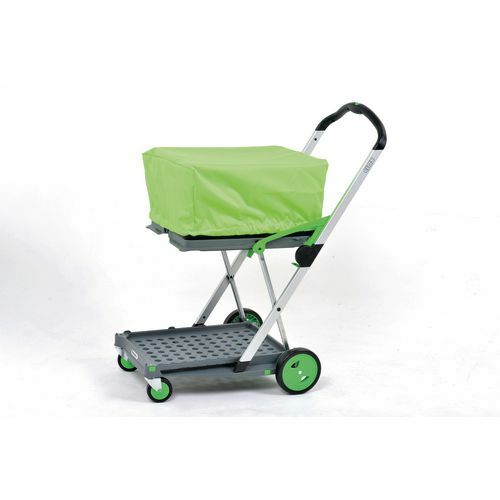 Supplied with one folding box, 46 litre capacity, additional boxes available. 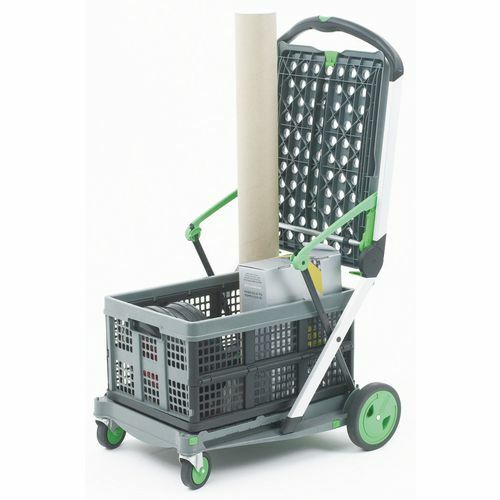 Useful features are block brake, holding device for boxes and removable wheels for space-saving storage. 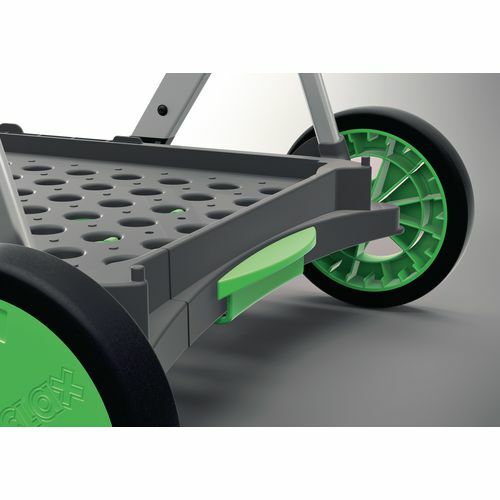 Made of injection moulded plastic and aluminium. H x W x L - 1030 x 550 x 890mm. 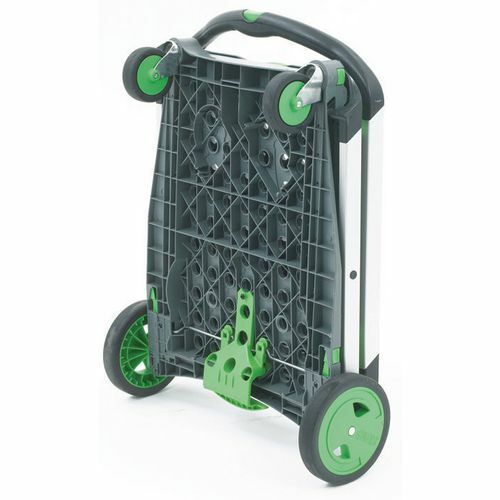 For convenience that’s compact, our folding trolley is perfect for short moves and small loads. 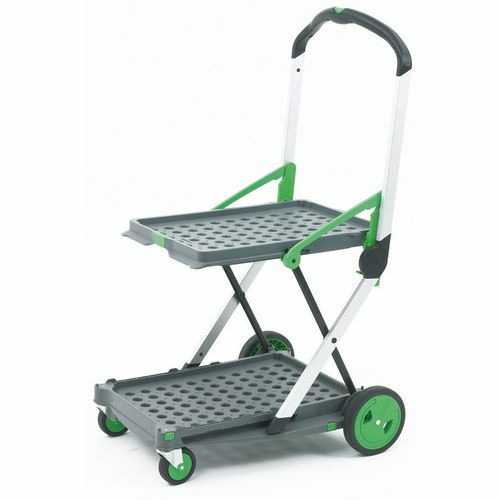 With two large platforms designed to support folding plastic containers, you can carry items of any size securely and efficiently – while its collapsible feature lets you quickly unfold it at the touch of a button. It comes with a 46 litre capacity folding box so you’re ready to go, and is also equipped with a block brake, a holding facility for boxes and removable wheels for flexible storage. Constructed with injection moulded plastic and aluminium for longevity, its measurements are available in H1030mm x W550mm x L890mm.